Preview to the Scotland v Portugal friendly on Sunday evening with odds on RedsBet. Andy Robertson has been one of the best left-backs in the Premier League over the last ten months, breaking into the Liverpool team around Christmas time after a prolonged settling in period following his move from Hull City last summer. Assists, lung-bursting runs and always offering an option on the left flank – Robertson stood out as The Reds reached the UEFA Champions League Final in May. 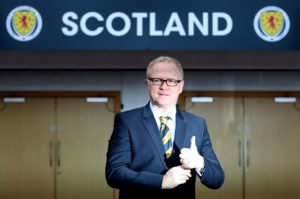 An enhanced reputation in England has also been replicated back home in Scotland as manage Alex McLeish has given him the honour of captaining his country. It has been a mixed start to life as an international captain for Robbo, with a solid 2-0 win over Albania in September in the UEFA Nations League tarnished by a disappointing 2-1 defeat in Israel on Thursday. Next up they face Portugal in a friendly on Sunday, with the European Champions coming into the game off the back of winning their first two Nations League fixtures. Scotland have now lost five of seven matches under Alex McLeish, and the last time they faced one of the ‘top sides’ in International Football – they were put to the sword in a 4-0 defeat to Belgium at Hampden Park. However, Portugal are not quite as exhilarating in attack as the Red Devils as shown in their Euro 2016 performances, and so a narrower victory like the 1-0 win the Netherlands managed in Aberdeen back in November appears more likely. That was Scotland’s last outing before McLeish took the reins, but going back further they held England to a stalemate in World Cup qualification, while in Euro 2016 qualification they drew hosting Poland and only lost by the single goal when the Germans came to town. Prior to facing Poland, the visitors had kept a clean sheet in each of their past six road trips, winning five of these games, while 18 of their previous 21 victories over 90 minutes home or away saw them shut their opponents out. The McLeish reign is still yet to really get going but a strong performance against one of the heavyweights in International football will give the players vital confidence going into the pivotal Nations League fixtures in November.